If you follow publishing news, you likely recognize the title Handbook for Mortals by one Lani Sarem. It has been a subject of morbid fascination since it infiltrated the New York Times Bestseller list out of the blue. Some crack reporting by YA Twitter painted a picture that was stranger than fiction (seriously, read that link if you have not). For all that this was a so-called bestseller, almost no one had actually seen the book, much less read it. The few excerpts that began to float around Twitter showed the novel to be of… dubious quality. I wanted to read it for myself. The publisher obliged me through the galley site NetGalley. Here, for your edification, is my review. It was not easy to write. I don’t like doing negative reviews, but I wanted to present a comprehensive analysis of the book that created so much fuss and furor. I received this ebook through the publisher via Netgalley. As a published author myself, I am well aware of the way that author Lani Sarem and her team manipulated the New York Times list. I also know that the Goodreads ratings for the book consist of mostly one-star ratings due to the book’s reputation and the sample available on Amazon. I don’t rate or review any book unless I finish it. I wanted to judge Handbook with as much fairness as I could, even knowing its history, so I endeavored to read the entire thing. I finished it. If this had been any other book, I would have declared it Did Not Finish (DNF) in the first few pages. Handbook reminds me of my first novel efforts, the ones I trunked and will forever more keep trunked. Because of that, I sympathize with the author to a degree. I wish she had had other experienced authors around her to offer honest feedback–or maybe she did, and she ignored their feedback to stay true to her vision. I did that with my first novel attempts, too. The book reads like a non-reader’s mistaken assumptions of what YA is, though this book is not YA (the heroine is about twenty-five). For a proclaimed fantasy book, magic is barely present (and very little of it actually done by the heroine), and doesn’t make sense. It’s… kind of like a romance, but with no chemistry. The entire middle of the book consists of dating scenes interspersed with clothes shopping. The first few pages show an ignorance of novels and how they are formatted at a basic level, as it actually has a foreword introducing the author. An intro like this is included for anthologies or collections, not for a debut book. I don’t know who the author is and her movie fandom creds aren’t relevant. The book needs to sell itself. As Handbook begins at chapter 0, we meet Zade as she argues with her mother and departs Tennessee for her new job in Las Vegas. The narrative is overwritten–again, a common flaw in early novels efforts and rough drafts, period–and the paragraphs are dense, with the dialogue often buried. Zade’s actions here are the only time in the book that she shows agency. Agency means the character instigates the plot. She/he makes the decisions and carries the book, rather than doing what author-god decrees. Agency within a plot is a tricky thing to master; honestly, my agent and editor still ding me on this during revision stages. But this point of criticism leads to another issue: there is no plot in Handbook. She goes to Vegas and joins an illusionist’s show, and starts going on a lot of dates with Mac and Jackson, though all men find her to be incredibly hot and almost all women loathe her. This is explained at one point as a side effect of Zade’s immense magical power. At one point, some other magic user attacks her, and makes an odd cameo appearance later; the ending implies a second book is supposed to explain this person, but it has zero bearing on anything in this book. This book is about dating. And shopping. But for a book that tries to play up the love triangle angle, ala Twilight, there is no triangle. Mac has all of the emphasis and character development–actually, he’s the only character who has an arc and develops in any way, and he’s the only one who acts at the climax. He has many of his own scenes shown in italics (though the use of italics is inconsistent and confusing, as some other characters’ POVs are seen through it sometimes). The other character, Jackson, is a musician and good-looking, and has the perk of actually believing in the abilities of tarot readings (one of Zade’s skills), but it’s pretty clear he has no chance with Zade. As for the romantic dialogue, it’s… George Lucas-esque. That goes back to that matter of agency. As all men love and want Zade, she doesn’t need to make any effort to win over Mac or Jackson. Zade had potential to be an interesting character. The book only expresses vague ideas of what her magic is actually like and there is zero growth in her abilities–the kind of thing an actual fantasy book needs. Zade is perfect in every way, a cliché Mary Sue (again, a new author trait). Everyone thinks she’s hot. Compliments on her hair are a regular theme (it reads like a Sally Beauty Supply ad at a few points, quite literally). She can also play guitar and sing, and she loves “crotch rockets” just like Mac. And as the ending of the book shows, she is morally bankrupt. I suppose I should get to the ending. Most books use an ending to show how the hero/heroine has grown throughout the book. It’s an opportunity for a grand show of powers, a confrontation with a villain, etc. But this book has no character growth, and while it has a few unpleasant people, there is no villain. Instead, Zade tries to pull off a grand illusion during the Vegas show that utilizes “dangerous magic.” She uses Mac as her anchor for this magic, but he’s mad at her, so he steps outside to smoke. (Yes, there are several points like this that make no sense–he could step out for a phone call, or be sick, or go on vacation, etc). Cue her magic going awry. The show ends, and she goes off stage, falls unconscious, and starts bleeding everywhere. At the hospital, the doctor says Zade is internally bleeding and will quickly die. Zade is rushed back to Tennessee to her mother’s advanced magical care, where, as Zade is bleeding to death, her estranged parents reunite and casually tell Mac the story of how they met. There is zero tension throughout this long section. Zade’s loved ones are literally at the kitchen table, drinking tea, and reminiscing about the late 1970s as Zade bleeds out in the next room. How do we know this? That goes to the morally bankrupt part: Zade has ripped memories of all these events from her parents, Mac, and everyone who witnessed her collapse in Vegas. The very end of the book has some vague mention of her getting permission from those closest to her, but she obviously couldn’t get this from everyone, as her magical skills are a big secret. So yeah. She thieved memories from almost everyone she knows, and also rifled through her parents’ thoughts when they were young and horny, which has another level of violation and squick. There is absolutely no moral consideration of these actions. Also note that Zade falls unconscious at 67% through the ebook. She wakes up at 91%. The climax, such as it is, consists of Mac plunging a dagger-that’s-really-like-an-EpiPen (that’s how the book explains it) into her heart. She recovers, returns to Vegas where everyone greets her with a surprise party (the proper welcome for someone who nearly died), and her estranged parents remarry. The book ends with the promise (threat?) of a sequel to come that will explain the weird magical girl who tried to blast Zade at the mall. I wanted Handbook to be worthwhile of the fuss and effort that went into getting it on the NYT list. It’s not. Publishers Weekly enjoyed Breath of Earth! 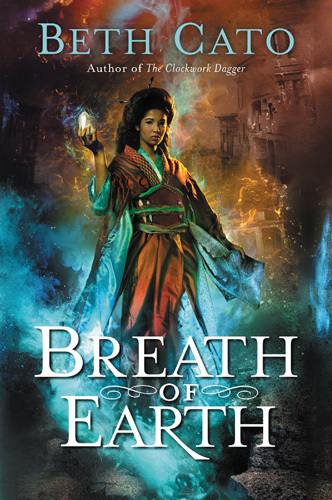 Posted by Beth on May 23, 2016 in Blog, breath of earth, reviews | Comments Off on Publishers Weekly enjoyed Breath of Earth! Read the whole review over here! I have written many stories, but “The Souls of Horses” is my favorite. That made months of consistent “this-is-great-but” personal rejections all the more frustrating. 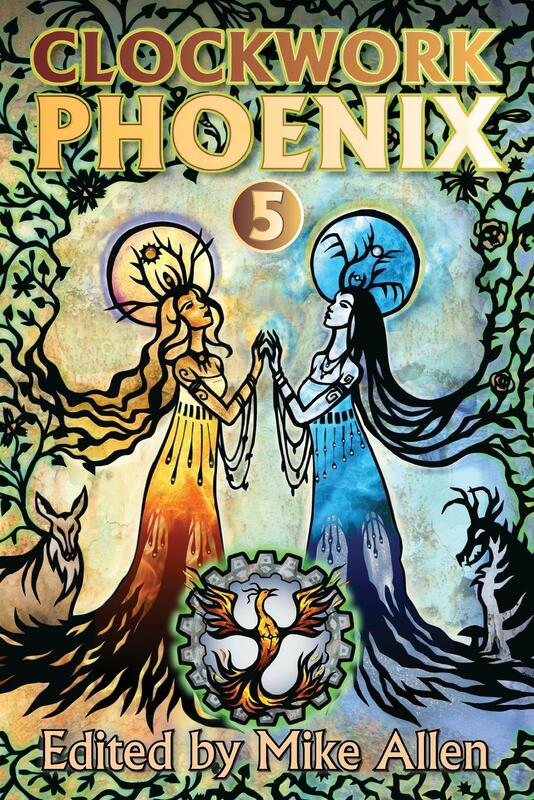 Last year, this story finally found a home, and a fantastic one at that: Clockwork Phoenix 5, the newest in a series of acclaimed anthologies. The book is being released tomorrow. Today, however, is the last day to enter a Goodreads giveaway to win a copy! It sure feels good to see people respond so positively to my story after such a long, frustrating slog for an acceptance. Let’s start off the month with a bunch of happy links! 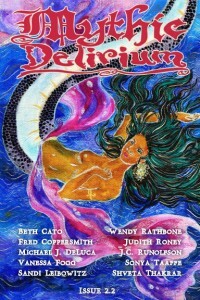 Then my poem “Sorry,” published earlier this year at Mobius Magazine, was nominated for Best of the Net. – Amy Sisson reviews my story from Nature, “Bread of Life,” and says nice things! – I was name-dropped in the Functional Nerds Podcast at about the 34 minute mark. This tickles me to no end because of Patrick Hester talks about my cookies. Also, buy Fran Wilde’s book Updraft. It’s awesome. First of all, two reminders: I’m doing a booksigning at the Phoenix Metro Center Barnes & Noble on Saturday September 12th from 1-3pm. I’m also traveling to Houston on September 26th to team up with Chuck Wendig and Richard Kadrey for a signing! This is at Murder by the Book at 4:30pm. I bet there will be shenanigans. Rhonda Parrish interviewed me about my story in B is for Broken. Over at A Dribble of Ink, I’m listed in great company as A Foodie Fantasy Author. I’m also listed as a Not-So-Invisible Ninja at Charles Stross’s Antipope site–because some daft guys still insist that there are no women writers in science fiction and fantasy. I don’t know how to explain their blindness, either. But then, I’m also mystified by people who can stay awake during baseball games. 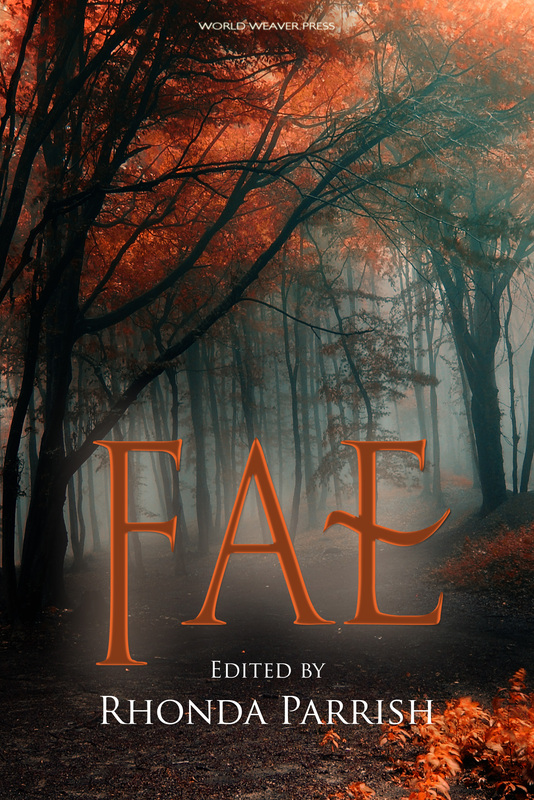 My story from last year, “The Cartography of Shattered Trees,” is still getting attention along with other stories in the FAE anthology. Jorie Loves a Story has incredibly kind things to say. An excerpt at USA Today! My post at John Scalzi’s Big Idea: Healers are heroes too, darnit. Over at Bookish I have a list of five diverse steampunk books. 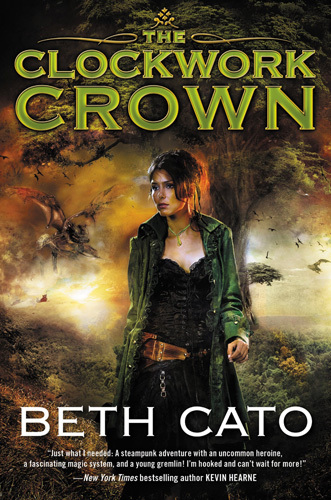 The Hook: The Clockwork Crown at Alex Shvartsman’s blog. 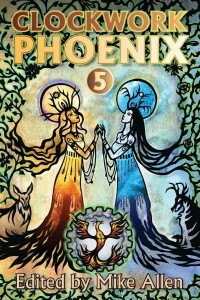 The wonderful David Nilsen at the Greenville, Ohio, Public Library invited me back to the Fourth & Sycamore blog with an interview and excerpt. Romantic Tension in The Clockwork Crown at Coffee Time Romance.